Tomas Scheckter was born in Monte Carlo, the home of the greatest Formula One race, to one of the great Formula One racers Jody Scheckter. 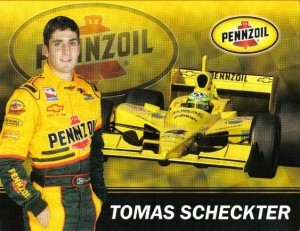 With racing in his blood, Thomas set about establishing a career of his own. He started off, like so many, in karting and in 1995 was the South African Karting Champion. He continued with victories in the south African formula Ford, before romping to a victory in the Formula Opel Euroseries with a record of 8 victories and 8 poles. His incredible skill saw him earn a place as a tester for Jaguar before spending nearly 10 years in Indy Car racing. All Things Jabu had a chat with the South African speedster about all things motorsport. ATJ: Firstly thank you so much for taking the time for this interview! What was it like growing up in a renowned racing family? TS: I don’t know, it seemed normal, both my cousins raced and they were more influential in me heading into a racing career than my father. My father was out of racing and ran a company in the USA. I did not have any racing photos or trophies at home so I really knew him as a business man and only knew about racing by watching betamax tapes at home. 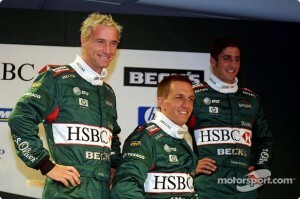 ATJ: Did you feel like there was additional pressure on you as the son of a former Formula One champion? TS: No. I put a lot of pressure on myself to succeed. It had nothing to do with my father and he certainly did not put pressure on me to win, he only came to watch me race when I was 16. I raced for myself. ATJ: Was your family very supportive to you in your racing career? TS: My mother was very supportive, my father only became supportive once he saw me race and win. He then said he would help me for one year in Europe and if i was able to win, he would then try to help me, if not Iwas to go to University or get a job. ATJ: You started as a youngster in karts, how did this help in your development as a driver? TS: These are the building blocks in creating a good driver. It was also the time I loved racing for racing and had themost fun. I was very lucky my mother was able to get help from Keith Fourie, which played an integral part of me becoming a successful driver further down the line. ATJ: You moved across to race overseas for the first time in the British based Formula Vauxhall series, what was the biggest challenge making this move? TS: When you race in South Africa the full grid could be split by 2.5 seconds from first to last. In Europe when I first made the move, it was about adapting and raising your game to another level, where a full grid from first to last could be split by 0,5 of a second. It was not only about driving quick, it was how you could set up the car, your fitness and your mental strength. These enabled me to shine in my first year in Europe. You were now racing against the best kids from around the world, it was a huge eye opener. In my first year, I shunted 5 cars in pre-season testing but came back to win my second race and finish 2nd or 3rd in championship. ATJ: You raced against the likes of Rubens Barrichello, David Coulthard and Mika Hakkinen in the Formula Opel Euroseries in 1999, what was it like racing against this level of competition? Especially as you emerged as champion at the end of the season. TS: I raced in same series as these drivers in the Formula Opel or EFDA series but not against them. In the same series I broke all records for the amount of wins, amount of poles and emerged as European Champion in my second year in Europe. 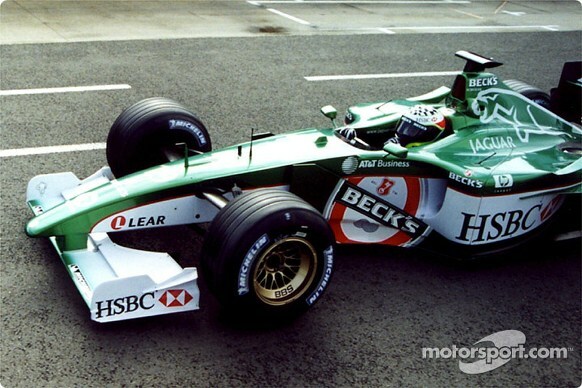 ATJ: You tested for the Jaguar Formula One team in 2001, what was this experience like and do you feel you could’ve become a Formula One driver? TS: It was not great as I was promised more testing than I received. We ended the relationship on a bad note but I managed to quickly sign a deal with the TWR Formula 1 team that lent me over to do a year in America in Indycars ,so the year after i was able to join Formula 1 again. Unfortunately TWR had financial problems half way through the first year of my contract and had to shut the doors at the end of the year which left me in the USA. 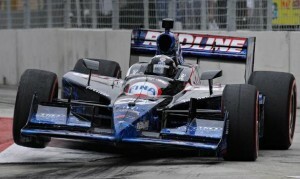 ATJ: You then made the move to the IndyCar series in 2002, what was the biggest challenge making the move to oval racing? TS: The biggest challenge in making this move is fear of death and injury, and how your brain is able to put it to a side when the will to win becomes greater than the fear of death or injury. In the beginning I called my manager in Europe and told him he needed to get me out of America before I die, but after a couple of months of racing and experiencing the Indy500, I changed my mind and wanted to stay. As much as I hated the danger it was also the thing that attracted me to it and separated the men from the boys. ATJ: Then came the A1 challenge in 2005, what was it like racing as part of this series? How did it compare to the other series you’ve raced in? TS: It was a crap series in a crap car. I loved representing South Africa but the overall experience was not great. I struggled to get a decent set up with the car and there were a lot of rumours of “cheating” or certain tires or engines going to certain teams, and crowds and coverage were not good. TS: My European Champion win was great, also winning my two Indycar races. If you ask people, the highlight of my career was the way I drove. 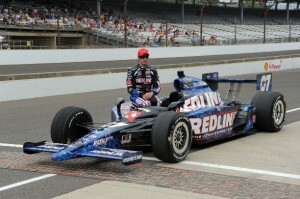 I always gave 150% – I led 1500 laps in Indycars but only won two races. Most people would be upset with this but for me I loved being on the edge and loved getting to the front. ATJ: You were part of the Nissan GT Race academy, what are your thoughts on that project? TS: It is a very cool project, I went there with pretty low expectations of the talent I would see but some of the guys for beginners had huge amount of talent. They still had a long way to go but for just rocking up, jumping in and driving a race car I was impressed. ATJ: Who is the toughest racing driver you’ve raced against? TS: Toughest in what way? Tough as in most talented – Antonio Pizzonia was one of the most talented drivers I raced against. Guys like Tony Kanaan were tough from the point of view you knew he put everything into it and when you raced him he was fair but would not give you an inch for free, especially when it mattered. On ovals best driver I have ever seen and learned the most from was Sam Hornish – the lines he was able to use, the way he ran races and his ability to drive a car on the limit was very special. Another great talent that did not make it to Europe but had natural raw talent and car control was Johan Fourie. ATJ: Which track is your favourite to race on? TS: Indianapolis Motorspeedway. Road course would be Macau. 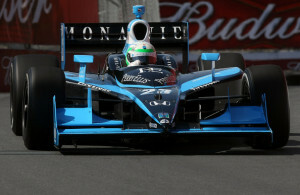 ATJ: Will we be seeing you on track again or are you focusing on the family organic farming business? TS: I’m not sure if I will be on track again. If I am I will do it for fun, as something on the side, or do it properly – I don’t want to do it half way. I am very involved in our business here in the UK, we have over 2550 acres and supply over 300 products throughout the UK and venturing worldwide. ATJ: What do you think of the current changes to Formula One? TS: Every now and then you get some good racing but it seems to be a Mercedes show as of now. The sound is funny and I’ve heard lots of complaints about it, but F1 is F1 and soon enough that sound will be cool. F1 creates the fashion that the rest try to follow. ATJ: Do you think that there’s a difference between the current Formula One drivers compared to the champions of old? TS: Yes, the current F1 drivers are safer and have smaller balls, they also worry about their hair styles and girlfriends too much. ATJ: You were part of the South African Top Gear festival a few years ago. What was it like being part of the festival and was it fun racing in front of a ‘home’ crowd? TS: It was great being part of the festival and seeing old friends, like Etienne van der Linde and Johan Fourie race. I had fun in the little MX5 and hope I entertained the crowd in winning a couple of races and getting it pretty sideways every now and then. ATJ: For young South African budding racing drivers out there, having raced in both the US and Europe, where do you think young drivers should be looking to start their racing careers? TS: It’s tough in both. ATJ: What for you was the biggest difference between racing in the US and Europe? TS: Europe is more competitive in a way and drivers seem to stick to themselves and don’t communicate with team mates. USA you risk your life so drivers are a lot tighter and have a lot more respect for each other on and off the track. ATJ: As All Things Jabu is a sports blog, which other sports do you watch and who do you support? TS: I LOVE Super Cross and Extreme Enduro. I love Bubba Stewart, David Knight, also some very good SA riders doing Extreme Enduros. I ride a lot here on the farm and it blows my mind what these guys are able to do on a bike. I would also love to go watch the Roof of Africa. ATJ: Where can fans keep in touch and up to date with what you’re doing? TS: Come to Laverstoke Farm, I very rarely post on twitter (@tomasscheckter) and Instagram (tomasscheckter). I prefer being out of the lime light now. But if you have any interest in what I am doing then twitter or instagram are the best. If you are in the motorsport mood now, check out the Pit Wall – Spain GP as well!